Q: I’m trying to lose weight. For optimum fat burning, how important is your heart rate level during a workout? How long does a target heart rate need to be sustained per workout in order to see results? If your goal is to reduce your body fat and lose weight, make sure your efforts are in the right direction so your workouts are most efficient. Your heart rate controls what your body breaks down for energy to sustain the activity you are enduring. If your heart rate goes too high, then your body will break down muscle and not fat for energy. At the beginning of any workout, your body will break down the carbohydrates in your system first, but that will only last for the first 15 minutes or so on average. Your body cannot break fat down fast enough to provide the energy needed when your exercise routine has your heart rate too high, so your body bypasses fat and moves to break down muscle mass for energy. When your heart rate is sustained at a lower rate, you body is able to break down fat fast enough to provide the energy to sustain your exercise activity. Exactly where that heart rate level is for each of us is dependent on one’s level of aerobic shape, but most agree that 65 percent of your maximum heart rate BPM is ideal. If you want to lose weight and burn fat, drop your heart rate to a lower level and sustain that activity for 45 minutes to a hour three times a week and it will no longer be a matter of “IF” just “WHEN” your hard work is rewarded visually in the mirror. 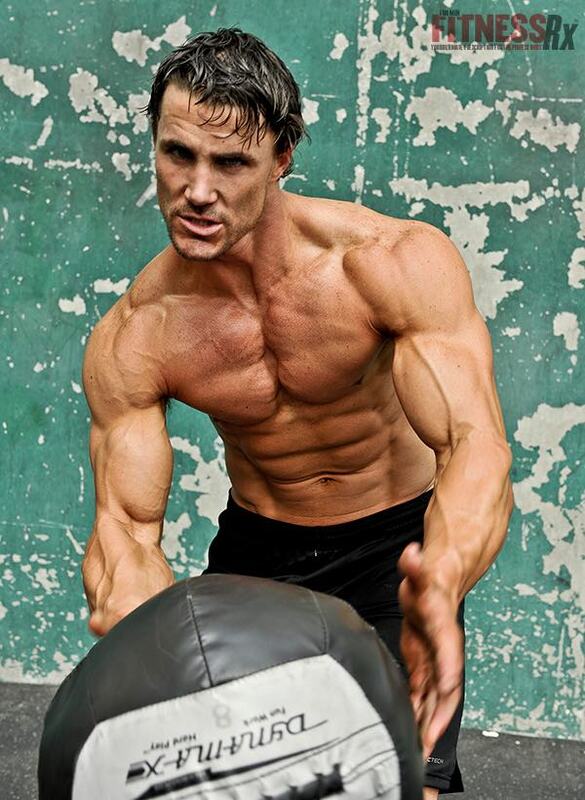 Greg Plitt, a Met-Rx sponsored athlete, is America’s #1 male fitness model, and has appeared on the cover of more than 100 fitness magazines in the last few years. Before taking on acting and modeling, Greg graduated from West Point U.S. Military Academy and served as an Army Ranger as well as a captain and company commander of 184 U.S. soldiers. For more information, visit www.gregplitt.com.